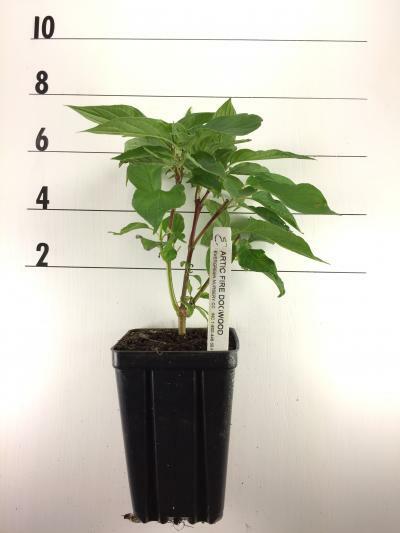 ARCTIC FIRE, is a dwarf redtwig dogwood cultivar that is primarily grown for its bright red winter stems. It typically grows to 3-4’ tall and as wide with dense stems. An upright-spreading, suckering shrub. Ovate to lanceolate, medium to dark green leaves (2-5” long) acquire interesting shades of red to orange eventually fading to purple in autumn. 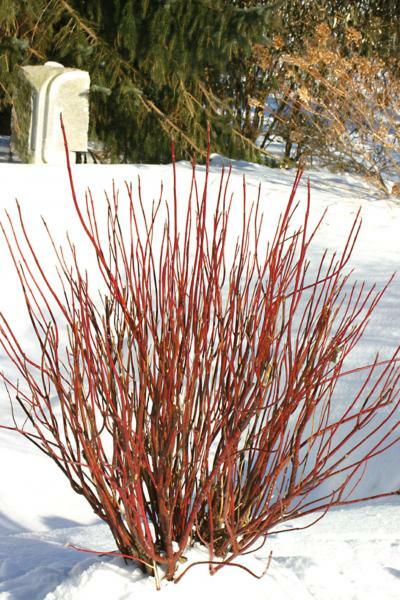 Reddish stems turn bright red in winter and are particularly showy against a snowy backdrop. Tiny, fragrant, white flowers appear in flat-topped clusters (cymes to 2.5” diameter) in late spring, with sparse, intermittent, additional flowering sometimes continuing into summer. Flowers give way to clusters of whitish (sometimes with a bluish tinge) drupes in summer. Fruit is quite attractive to birds and is generally considered to have as much if not more ornamental interest than the flowers. Excellent massed or as a specimen. 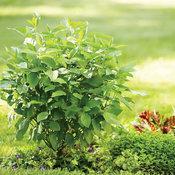 Effective in shrub borders where plants can be combined with evergreens or a contrasting color of redtwig dogwoods for interesting winter contrast. Also effective in naturalistic plantings in moist soils where plants can be allowed to spread and form thickets. Plants perform very well in wet locations such as low spots or along streams or ponds where spreading roots can help combat soil erosion. Price does not include $.85 royalty. Tag is mandatory to ship with each quart liner purchased. They are billed to you at cost.